One million people now pay for the digital-only edition of the New York Times. It's a milestone in the newspaper industry's move from print to the Internet, announced by the Times on Thursday morning at the same time it reported second quarter earnings. In addition, 1.1 million people pay for a combination of print and digital access. The earnings report reinforced why the digital milestone matters. While Internet ad revenue grew in the quarter, newspaper ad revenue is still a bigger part of the Times' bottom line -- and it fell almost 13%. 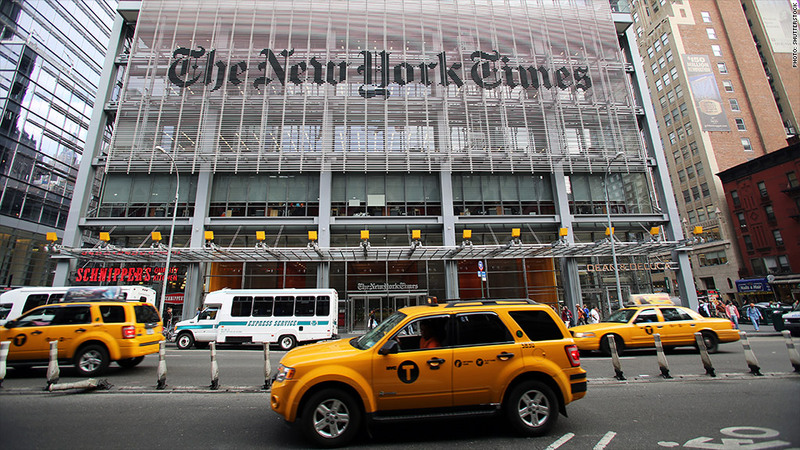 The Times, like other news outlets, is relying more and more on subscriber revenues to offset advertising challenges. Print subscriptions are still critical for the Times, accounting for much of the company's $212 million in circulation revenue in the second quarter. But digital subscriptions are obviously the company's source of growth. Analysts have been focused on the question of how many paying digital subscribers the Times can sign up each quarter. After an initial surge of sign-ups a couple of years ago, The Times is now testing new products and new marketing strategies to woo more subscribers. The growth could be called slow and steady: 33,000 more people became paying subscribers in the second quarter of the year. Times CEO Mark Thompson said in a statement that the milestone "puts us in a unique position among global news providers."